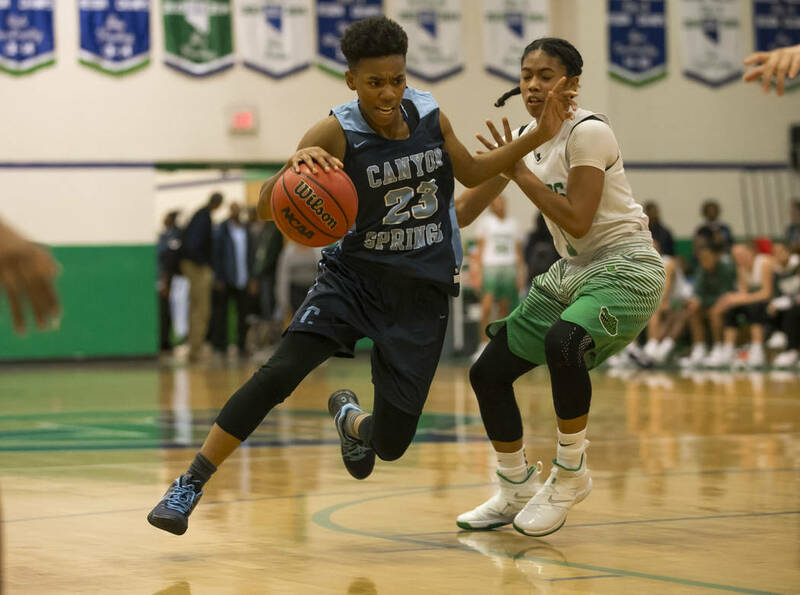 Canyon Springs will make just its second appearance in a region final when it battles Centennial for the Mountain Region girls basketball title at 5 p.m. Thursday at Legacy. 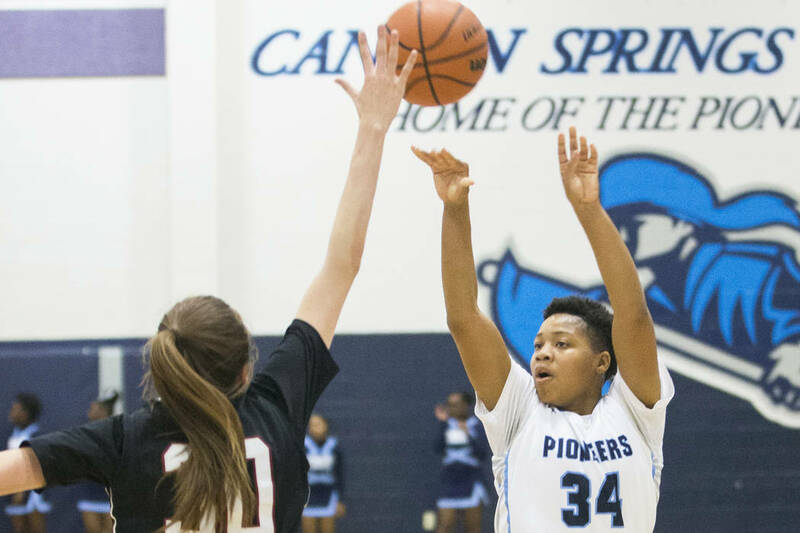 On paper, Friday’s matchup against Centennial might not be ideal for Canyon Springs’ girls basketball team. The Bulldogs are the four-time defending Class 4A state champions, ranked fifth nationally by USA Today and defeated Canyon Springs this season. In reality, there’s nowhere else the Pioneers would rather be. Canyon Springs (25-3) will make just its second appearance in a region final when it battles the Bulldogs for the Mountain Region title at 5 p.m. Friday at Legacy. The game originally was scheduled for Thursday but was postponed because of inclement weather. Regardless of the outcome, the Pioneers will compete for the first time in the Class 4A state tournament, which begins Wednesday. The Pioneers are getting a second chance after having dropped an 86-49 decision to Centennial in the Las Vegas Holiday Classic in December. Canyon Springs trailed 43-29 at halftime and had trouble handling the Bulldogs’ impressive depth. The Bulldogs have tons of experience. They will be making their 20th straight region final appearance and are in search of their ninth straight region crown. None of the Pioneers’ players has been this far in the postseason. The team’s only other appearance in a region final was in 2013. The winner of Thursday’s game will face Desert Oasis or Bishop Gorman in the Southern Nevada championship game Saturday. The Southern Nevada champion receives a bye into the semifinals of the six-team state tournament. The other three southern teams and the Northern Region runner-up will play in quarterfinal games Wednesday. Walker said his team won’t change its approach Thursday, even though it knows it is guaranteed a spot in the state tournament. Desert Oasis (20-4) vs. Bishop Gorman (20-7), 5 p.m.
Centennial (27-1) vs. Canyon Springs (25-3), 5 p.m.